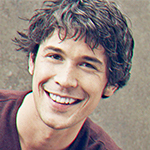 Bob Morley currently stars as Bellamy Blake in the CW series The 100. He can be seen in the indie feature Lost in the White City, as well as in the Australian features Blinder and Roadkill. His television credits include the hit Australian series Neighbours, The Strip, and Home and Away. After completing the Directors’ Workshop, Bob directed an episode of The 100 (CW).